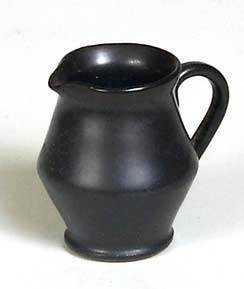 Miniature black jug - 1⅜" (34 mm) high. Keith Richardson has a passion for miniatures. He always tries to get the proportions the same as a full-sized jug - particularly the handles.